The movement waned over the holidays but appears to be resurging, despite President Emmanuel Macron's promises of billions of euros in tax relief and an upcoming ``national debate'' to address demonstrators' concerns. 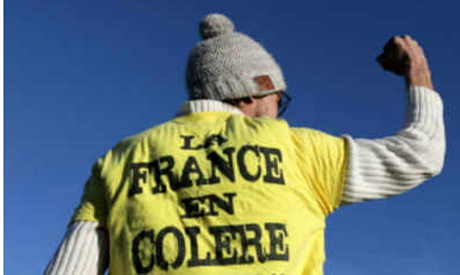 Protesters want deeper changes to France's economy and politics, seen as favoring the rich. Online groups mounted calls through the week for actions in Bourges, a provincial capital with a renowned Gothic cathedral and picturesque wood-framed houses, and the suburban Paris business district of La Defense. But authorities warned that could be a ploy to draw police away from key sites in the capital, which epitomizes the power and wealth that's the target of the provincially driven protest movement. So Paris police said they wouldn't let down their guard, and deployed armored vehicles, horses and attack dogs around the city. Subway stations and some shops closed, notably around government buildings and the Champs-Elysees, the sparkling avenue whose luxury boutiques have been hit by repeated rioting in past protests.